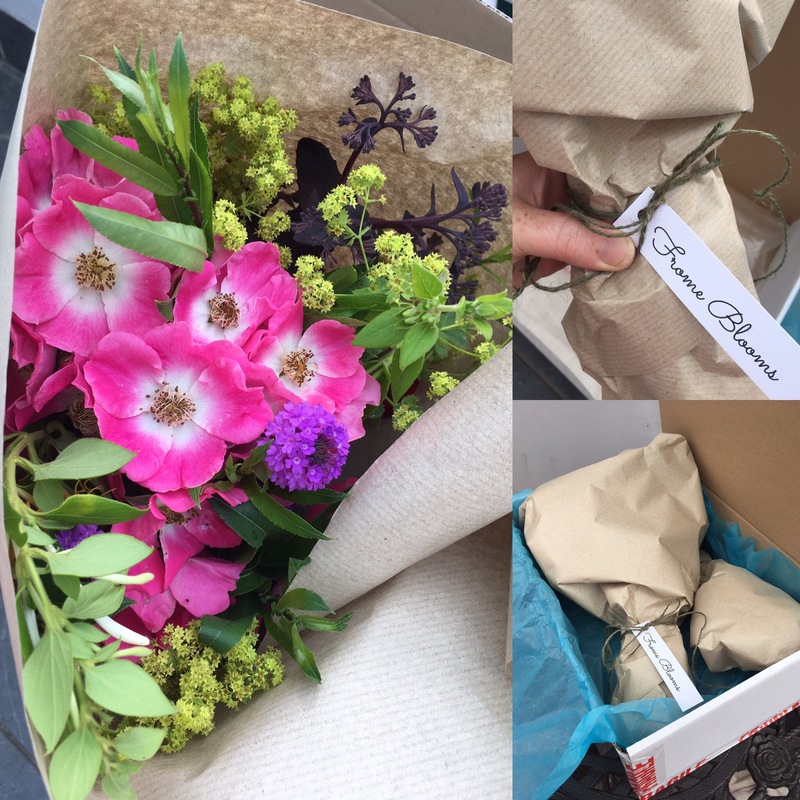 I’ve been delighted to hear from FromeBlooms customers that they love the scent of the bouquets, so I’m determined that each will be packed with strongly scented flowers. There’s certainly room for more sweet things in this world. And while I was musing on honeysuckle and sweetness, I fed and conditioned the flowers for this bouquet, putting a little vodka and honey cocktail into their overnight bath. I’m also experimenting with video adverts, and have fashioned a lazy susan pot spinner, from a few beads in a couple of saucers. The results are quite pleasing, and make a pretty video advert. 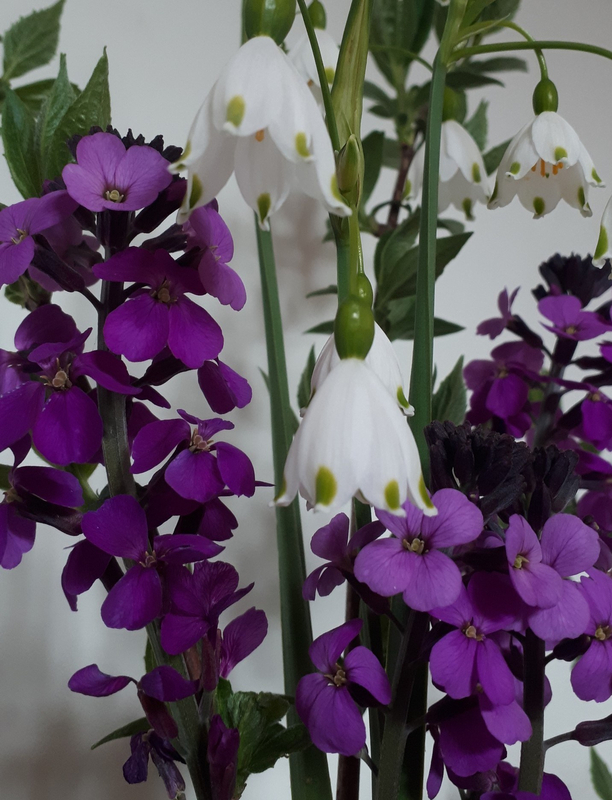 There were a few sweetpeas which were too short stemmed for the main display, so they’re in a little vase with some pinks and penstemon, and this blue star shaped flower that I don’t know the name of. Anyone recognise this blue bloom on the left? 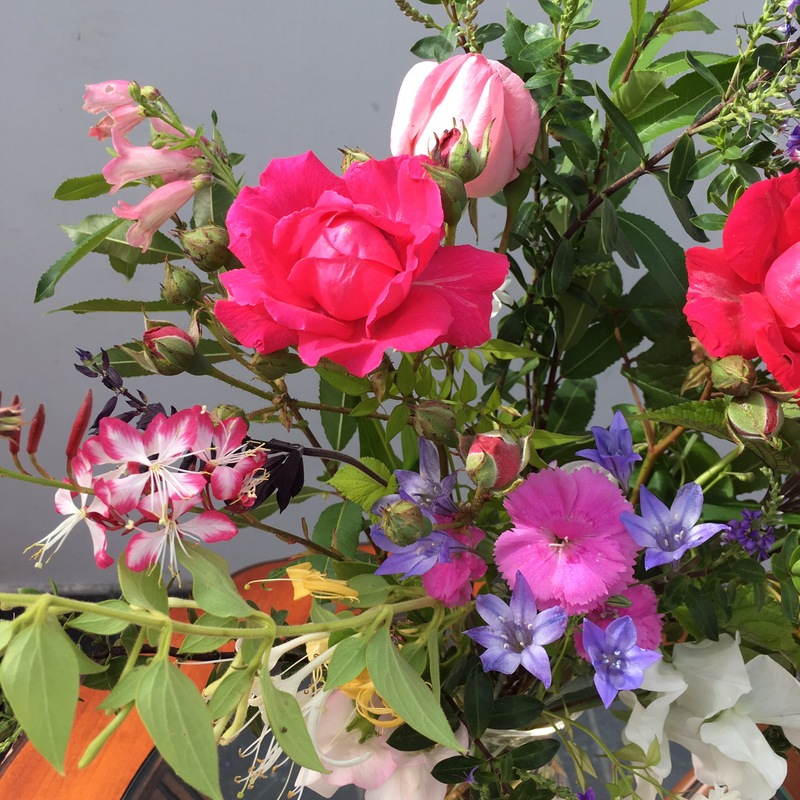 In the big bouquet we have roses, salvia, penstemon, hebe, willow, pinks, honeysuckle, jasmine and sweetpea, and more of the mystery blue star flower. 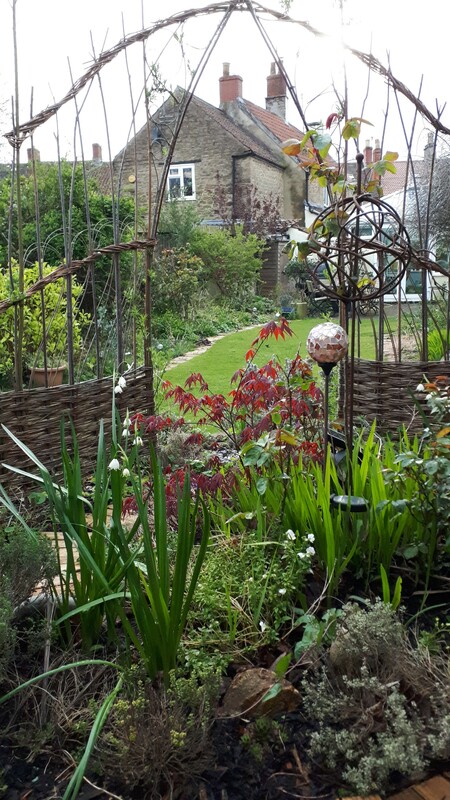 Since the daily bouquets project began, back on 21 Mar at the spring equinox, I’ve learned lots about how the garden grows and discovered some fabulous flowers. I’ve also grown some of my favourites from seed, including theses sweet beauties. 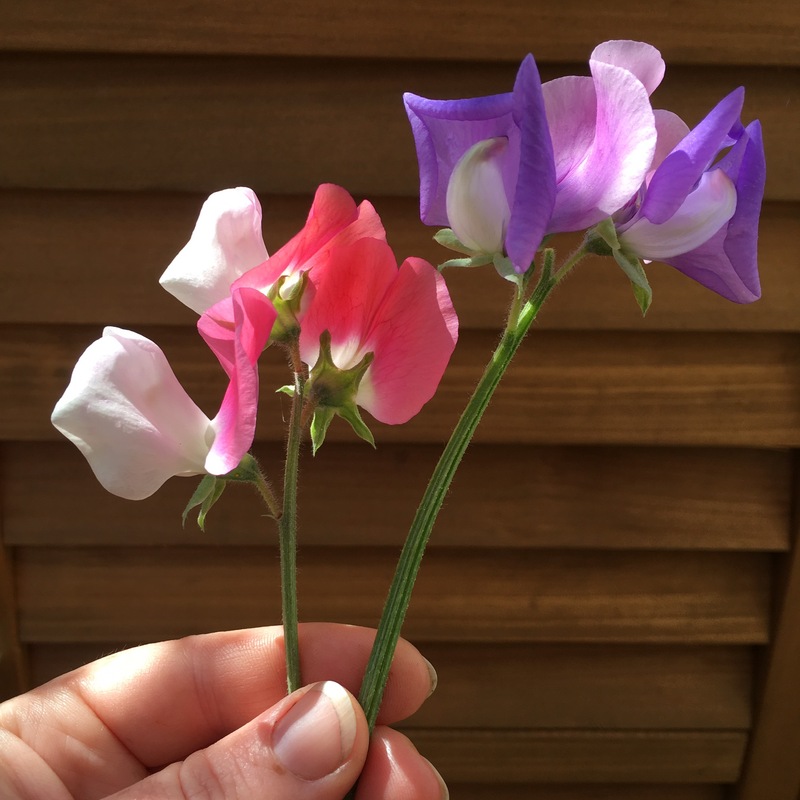 One of my earliest memories is sowing sweet peas with mum, and I’ve loved these flowers ever since. 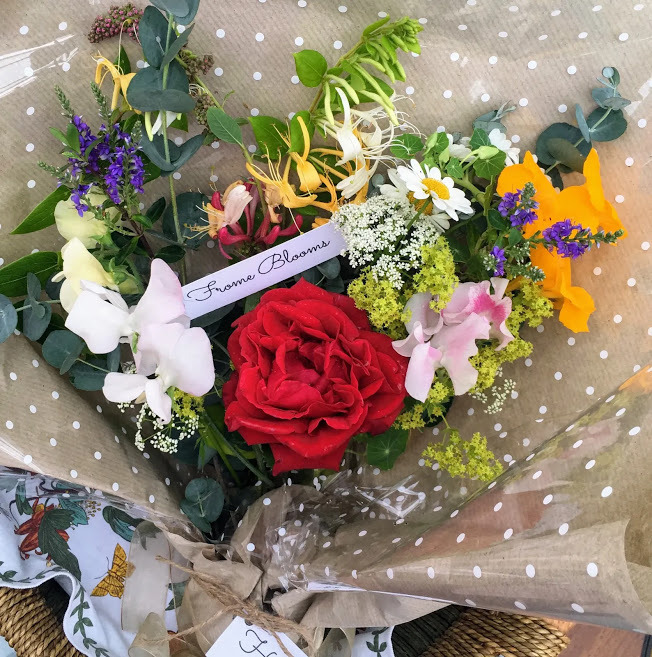 As well as growing flowers, I’ve developed a process to cut, condition, arrange and package them which is working well. Customer feedback is good. 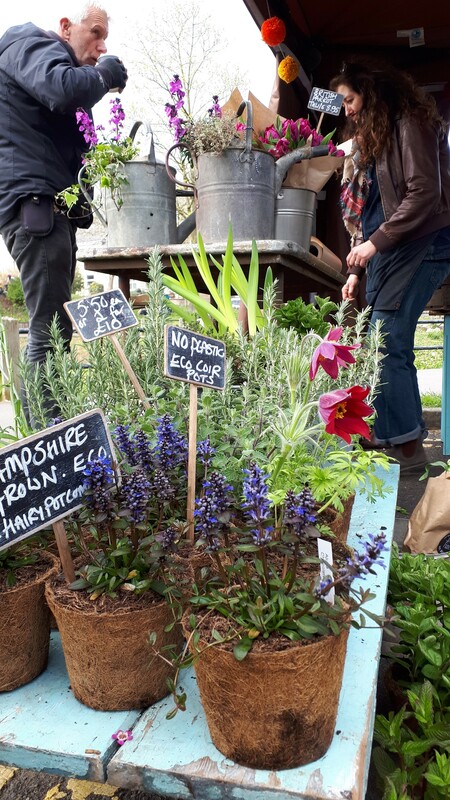 And I’m getting ready for my next FromeBlooms flower stall at the Frome Independent market, and crossing my fingers for decent weather. 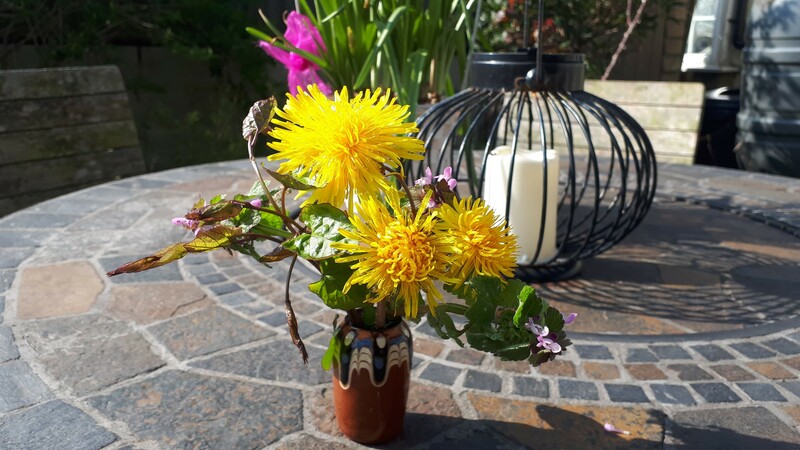 I’ve shared bouquets ‘in a vase on Monday’ with Cathy and her friends at Rambling in the Garden. ​Pop over to her blog to see some amazing ball dahlias in sunshine colours. Thanks Cathy, I think you’re right. It looks a lot like Camassia leichtlinii Blue Danube – thanks for the info! I’ve read a few article about conditioning flowers in various mixtures, and vodka is often suggested as an alternative to bleach. And since honey is essentially just sugar, I thought it was worth trying it as an alternative to sugar. Hence, the bee’s knees flower food. I will give different combinations a try! This is such a pretty vase of flowers; I’m sure it smells lovely. Like Cathy, I’m intrigued by the conditioning as it’s not something I do. Just tap water here! I’ll have to give it a go. Could the blue flowers be a form of agapanthus? They look similar.